The issue of youth violence, drugs and gangs is always very troublesome for every community. Unfortunately, the South Asian community has borne a brunt of it. Since early 1990s, our community has lost close to 200 young people, mostly in their early or late twenties to this curse. To its credit, our community, along with the South Asian media-both electronic and print, have been doing a commendable job in creating more awareness about this issue. The formation of the Sikh Societies of Lower Mainland in 2002, which later expanded and transformed into the South Asian Community Coalition Against Youth Violence (SACCAYV) in 2007, was a major development. A lot has been accomplished since then. However, a lot more still needs to be done to keep our youth and communities safe. The recent developments in Surrey involving a number of young people are very worrisome. Numerous targeted shootings over a few days resulting in injury to some youth are very troubling. How did these young people reach that point is puzzling. Rather than getting into the blame game, as a community, we need to re -examine our values and priorities. As a community, we need to shift our focus away from materialistic outlook towards a spiritual and balanced lifestyle. We need to attach more importance to bonding with our children and youth and be good role models for them. Certainly, money and materialism have their own significance and place in our lives. However, to pursue them at any cost, especially at the cost of one’s family may not be the best choice. There is a wise old saying that an ounce of prevention is better than a pound of cure. This is so true especially in case of our youth. Moreover, prevention has to start at a very early age. Sooner, the better. Research indicates that the bonding and attachment experienced by a child in his/her early years goes a long way in shaping that child’s life in later years. In addition to bonding, role modelling by parents and caregivers plays a crucial role in the growth and development of children and youth. As good role models for our children and youth we must be willing to spend quality time with them, take interest in their lives and guide them through a rather challenging phase during their adolescent/teenage years. Moving from control to connection goes a long way in gaining our youth’s trust. For a long time it was believed that a child’s brain is fully hardwired by age 6. However, the latest research in this regard indicates that this process of neurological development continues all the way till the youth’s mid-twenties. Some of the skills that the youth lack and that are still developing have a major impact on his/her everyday life and their decision making process. Incidentally, these are the skills most needed when these young people have to make major decisions on a daily basis. These include reading social cues, predictive judgement, insight, impulse control and empathy. As adults in their lives we need to be extra patient in understanding and guiding them. As parents and caregivers, we must keep in mind that as children grow older, their affinity towards peers gets stronger and attachment towards their parents and extended family gets weaker. They long to belong. If that sense of belonging and inclusion/recognition is not available at home they will seek it somewhere else. This is when they start drifting towards negative peers. From there, it may lead them to drugs and gangs etc. Thus, the onus to keep our youth on the right track and help them become proud and productive citizens is a joint and shared responsibility of the family and the community. SACCAYV, along with many other individuals and organizations, has been working hard for almost fifteen years in creating awareness about these issues amongst youth and parents. In this context, the research being done by Kwantlen Polytechnic University’s Acting Together-Canadian University Research Alliance (AT-CURA), under Dr. Gira Bhatt’s leadership is commendable. Similarly, the work being done by various police agencies including RCMP, Combined Special Enforcement Unit (CFSEU-BC) and others has been greatly beneficial. All of these partners have been actively working together in keeping our youth and communities safe. CFSEU-BC has launched its media campaign End Gang Life. 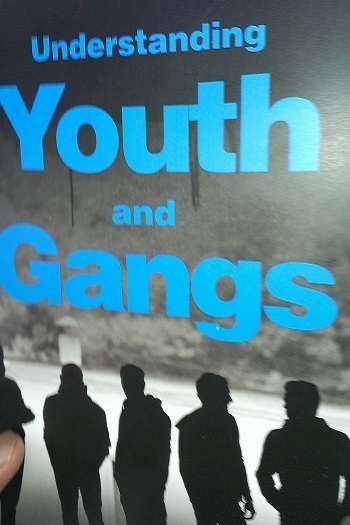 This includes powerful anti-gang videos, posters, information booklets and public presentations on myths and realities of gang life. Their website provides links to useful resources (www.cfseu.bc.ca/en/). 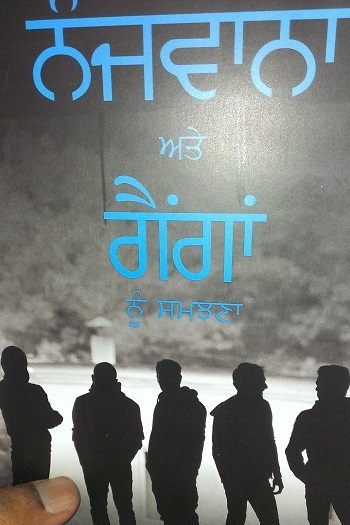 In this regard , a very valuable parent resource booklet-Understanding Youth and Gangs –has been produced both in English and Punjabi jointly by AT-CURA, CFSEU-BC ,SACCAYV and other partners.CFSEU-BC has already delivered 400 copies to each of 16 Gurdwaras in Metro Vancouver. This includes the three Gurdwaras in Abbotsford and the Mission Sikh Temple. It is now available free of charge at your nearest Gurdwara. I would like to urge every parent to pick up a copy of this booklet and use it. To its credit, our community has been making every effort to keep our young people safe. In Metro Vancouver, there are various initiatives under way. For example, on March 5, along with several other prominent members of the community, I had an opportunity to participate in a forum on youth organized by Abbotsford Community Services in partnership with South Asian Community Resource Office and Youth Resource Centre. Five resource people- Dr. Amritpal Singh Shergill, Abbotsford Police Constable Dr.Charan Kingra, Abbotsford Police Chief Bob Rich, Staff Sargent Baltej Dhillon and I –were invited to share our expertise with the invited guests. The audience included a very distinguished group of educators, law enforcement people, journalists, social workers, elected officials, community activists and youth as well as parents. Appropriately, the theme of the forum was: It Takes a Village to Raise a Child. As a community we need to continue to work on such initiatives. They make a big difference in keeping our youth on the right track and our families and communities safe.